Advance arrangements can be made for wheelchair accessible transport through Pat and the Elephant, a non-profit organization at (902) 894-3339. Additional information is available from their web site; click here to learn more. 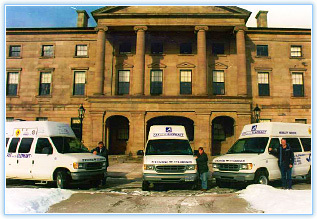 Donna's Transport Ltd. at (902) 436-3394 Monday to Friday, 8:00 am to 5:00 pm. Advance notice is required. Car rental agencies at the airport can arrange for a vehicle with hand controls with 24 hours or more advance notice prior to the vehicle being delivered to the customer.